For older adults, loneliness is a major risk factor for health problems — such as cardiovascular disease and Alzheimer's — and death. Attempts to diminish loneliness with social networking programs like creating community centers to encourage new relationships have not been effective. However, a new study led by Carnegie Mellon University's J. David Creswell offers the first evidence that mindfulness meditation reduces loneliness in older adults. Published in "Brain, Behavior & Immunity," the researchers also found that mindfulness meditation — a 2,500-year-old practice dating back to Buddha that focuses on creating an attentive awareness of the present moment — lowered inflammation levels, which is thought to promote the development and progression of many diseases. 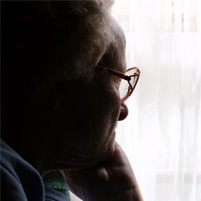 "We know that loneliness is a major risk factor for health problems and mortality in older adults. This research suggests that mindfulness meditation training is a promising intervention for improving the health of older adults." They also were asked to practice mindfulness meditation exercises for 30 minutes each day at home and attend a daylong retreat. The researchers found that the MBSR program decreased the participants' loneliness. Using the blood samples collected, they found that the older adult sample had elevated pro-inflammatory gene expression in their immune cells at the beginning of the study, and that the training reduced this pro-inflammatory gene expression, as well as a measure of C-Reactive Protein (CRP). 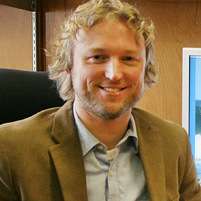 "Reductions in the expression of inflammation-related genes were particularly significant because inflammation contributes to a wide variety of the health threats including cancer, cardiovascular diseases and neurodegenerative diseases," said study collaborator Steven Cole, professor of medicine and psychiatry and biobehavioral sciences at the UCLA School of Medicine. Creswell added that while this research suggests a promising new approach for treating loneliness and inflammatory disease risk in older adults, more work needs to be done. "It's important to train your mind like you train your biceps in the gym," he said.